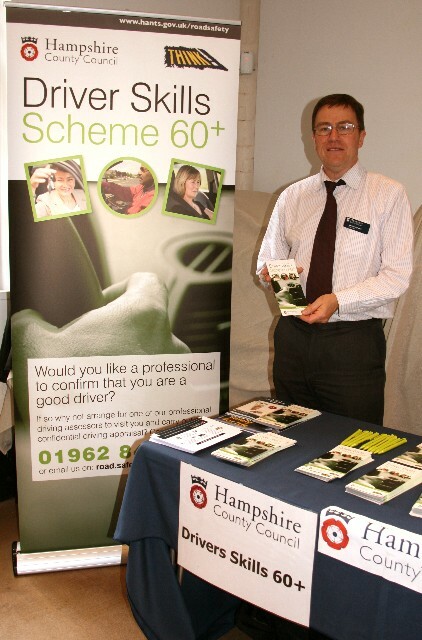 Hampshire County Council operate a driving appraisal scheme for Hampshire residents called the ‘Driver Skills Scheme 60+’. The appraisal takes place from the person’s home using their own car and is delivered by specially selected and trained Driving Standards Agency (DSA) Approved Driving Instructors (ADI) who have a good understanding of the needs of experienced drivers. This scheme is aimed at people aged 60 years and over who have an interest in updating their skills and knowledge, want help in adapting to a new vehicle or simply want to gain confidence. The scheme is not designed for those who have a diagnosed notifiable medical condition. What does the appraisal offer? This is an informal and confidential appraisal with the aim of enhancing current skills and updating knowledge to ensure people carry on driving for as long as they are safe. It is not a test so there is no pass or fail element. and makes recommendations to help ensure on-going safety. The appraisal also includes an eyesight check (reading a number plate). Following the practical drive, each driver is given a comprehensive debrief, where any concerns or remedial actions are discussed. A detailed report is also prepared and sent to the person’s home. This scheme has been running for over 10 years and has been awarded the Prince Michael of Kent award for Road Safety. The appraisal lasts 90 minutes and costs just £45 for drivers of 60 years of age or more who live in Hampshire. How to book the appraisal? Alternatively you can book online at: www.hants.gov.uk/shop and follow the links for Road Safety and Driver Training.